Available for weddings, receptions, private and corporate dinners, fundraisers, or memorial services in the Los Angeles and Orange County areas. Enjoy the music of the harp alone, or request the addition of flute, vocals, or another instrument to compliment the harp. The ambiance of harp music is elegant and enduring. 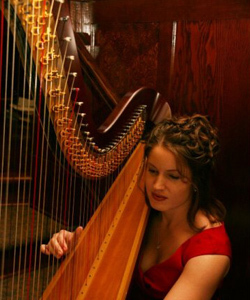 Enhance your occasion with the music of the harp!